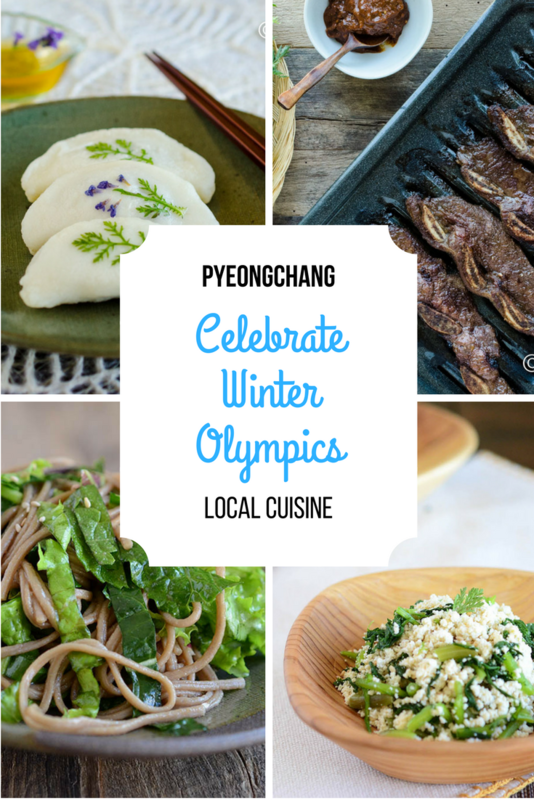 You are here: Home / Living in Korea / Pyeongchang Local Cuisine to Celebrate the Olympics! Pyeongchang Local Cuisine to celebrate Olympics 2018!! YAY!! Most of the foods I share below have become part of everyday Korean cooking these days but these foods are largely from Pyeongchang in Gangwon Province. POTATO PANCAKES (Gamjajeon 감자전) – Potatoes are a special produce in the mountain areas of Gangwon province near Pyeongchang so it’s definitely part of Pyeongchang local cuisine. Back in 2013, when I decided to grow colored potatoes in my dad’s farm in Korea (Read more here – Farming anyone? ), I visited the beautiful Daegwanryeong 대관령 area to buy seed potatoes for my farming venture. I had a great time growing them and selling them although I thought I would almost die in the summer heat!! I made these beautiful Gamjajeon using ugly purple potatoes that were leftover. TOFU (DUBU 두부) MUCHIM – Tofu is produced everywhere in Korea but Chodang Dubu is famous in Korea. Chodang is only about 1 hr away from Pyeongchang and is known to have the best spring water for making dubu. 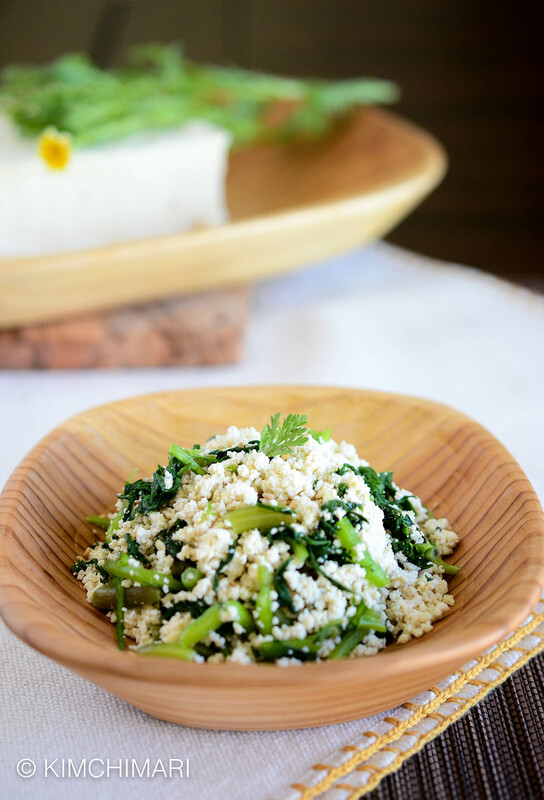 Here are some recipes that you can make with tofu to celebrate this Winter Olympics!! Tofu with Broccoli and Tofu with Crown Daisies. DRIED POLLOCK (BUGEO 북어) – Up and down, near the Eastern Sea, about an hour away from Pyeongchang, are various places where pollock was caught and then dried over the winter. I say ‘was caught’ because now they are almost non-existent but imported Alaskan Pollock is still dried in the area. Because they go through a repeated process of freezing, drying, melting and freezing again in the winter months, this bugeo is extra tasty and delicate. 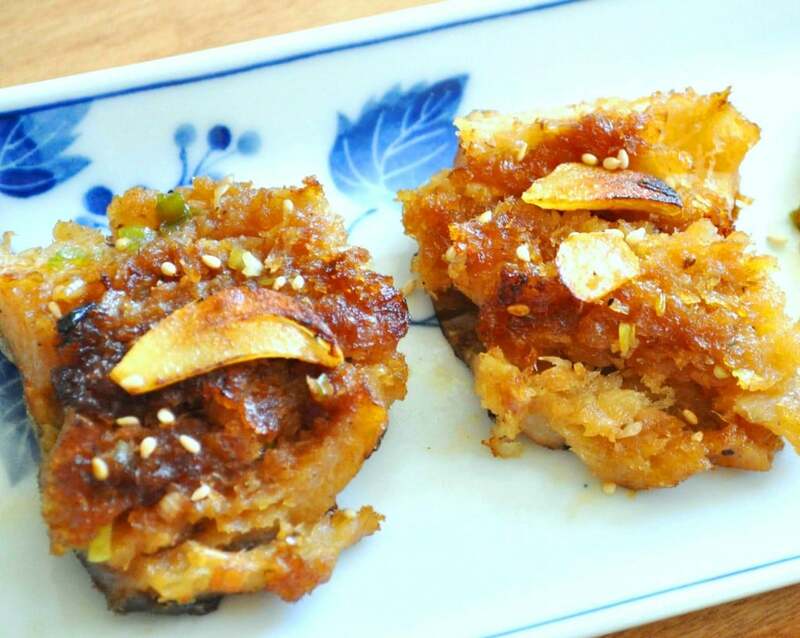 Try my recipe for Bugeo Gui (Pan-seared Dried Pollock). BEEF (HANWOO 한우) – Hoengseong (횡성) is a town very well known to produce the best quality of beef in Korea. Hanwoo means ‘Korean Cow’ and Koreans consider beef grown in Korea an absolute delicacy. It is also very expensive but has wonderful marbling similar to Kobe Beef. If you visit near the town of Hoengseong, there are Hanwoo restaurant everywhere. Go for the ones where there’s a butcher shop in the restaurant. They are usually cheaper. We can’t have Hanwoo outside of Korea but let’s celebrate it by making Korea’s best beef recipe – Galbi. 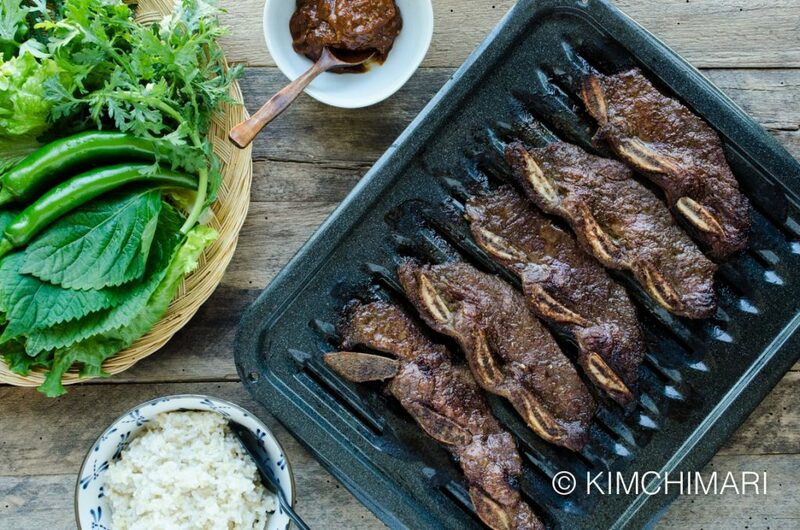 My Galbi or Kalbi recipe is an easy one using the blender. 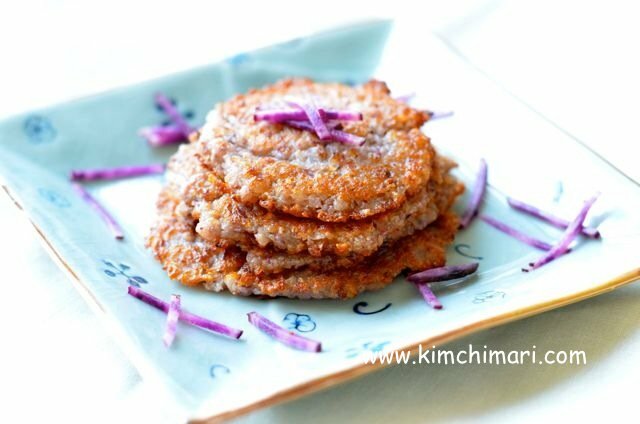 BUCKWHEAT (Maemil 메밀) – I have recently posted a buckwheat pancake recipe to celebrate this Winter Olympics because Bongpyeong is a major buckwheat producer of Korea and is located only 30 minutes away from Pyeongchang. So, Maemil Guksu (noodles) and Maemil Jeon are probably the most well known Pyeongchang local cuisine menu items. 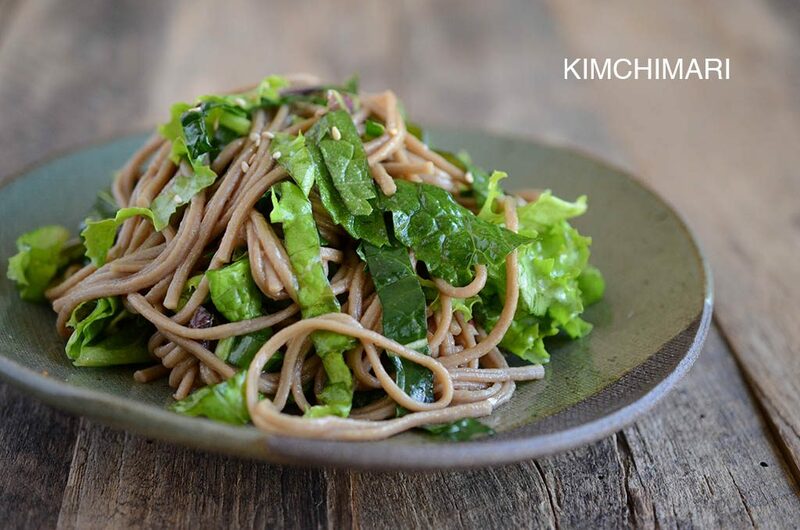 You can also easily make a Buckwheat Noodle Salad – just buy some soba noodles, salad mix and make the yummiest soy sauce salad dressing. SORGHUM (SUSU 수수) – Sorghum are grown everywhere near Pyeongchang and Gangwon province. Locals traditionally make Susu Bukkumi with it. I do have a Bukkumi recipe but didn’t use Sorghum but you are welcome to try making some with sorghum. Mix 1/2 sorghum flour and 1/2 sweet rice flour. The fresh flower decorations are my addition – they are traditionally not added to bukkumi. SQUID (OJINGEO -오징어) – Squid is a special produce of the Jumumjin beach area near the East Sea which is about 90 minutes away from Pyeongchang. 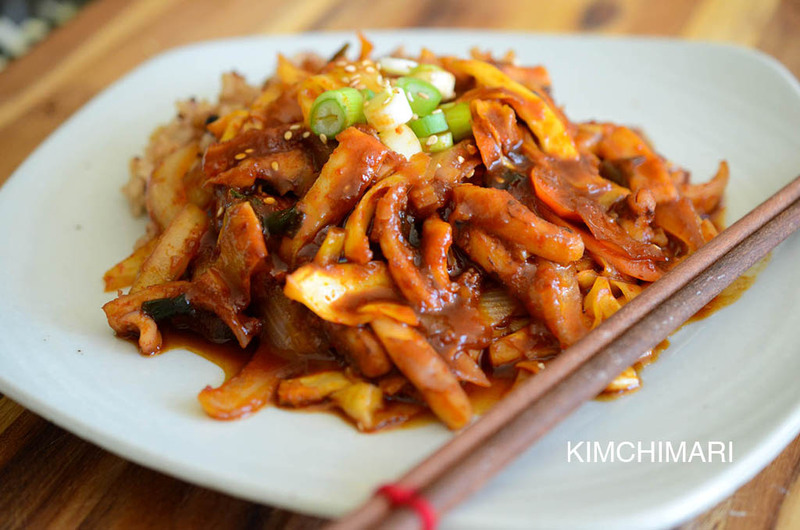 Ojingeo Bokkeum (Spicy Stir-fried Squid) is one of my most favorite one-dish meal. Just make some rice and you are good to go! 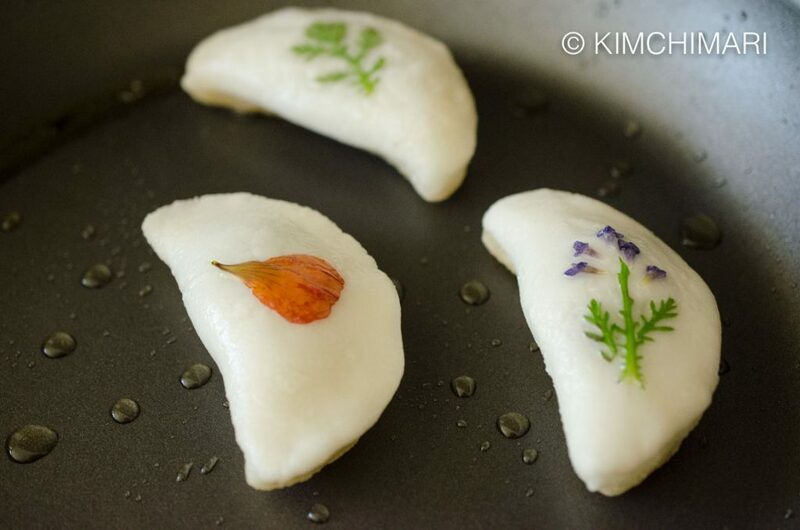 Well, I hope you enjoyed my list of Korean foods that make up Pyeongchang Local Cuisine. 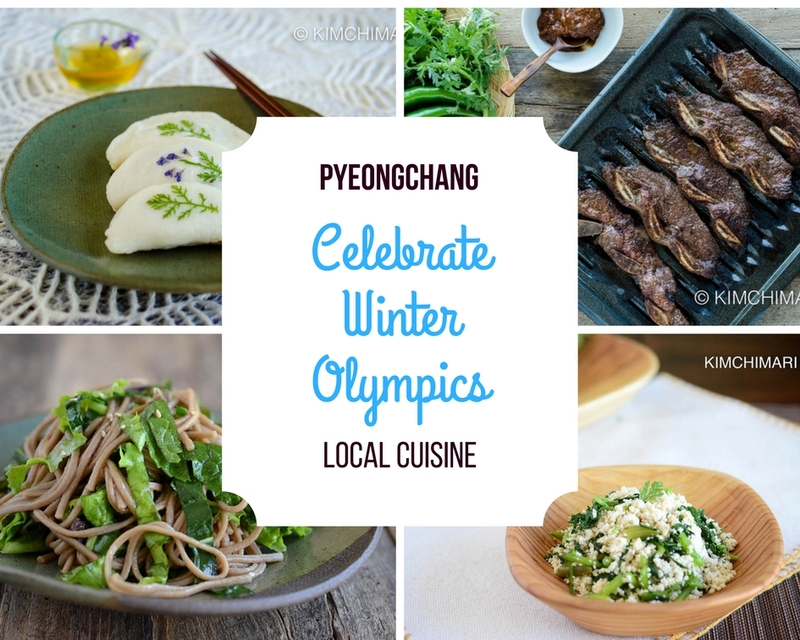 Let’s enjoy this Winter Olympics with these wonderful local foods from Pyeongchang! Yum, all of these look so delicious! Wanna try them all, thanks for sharing! Loved the post!